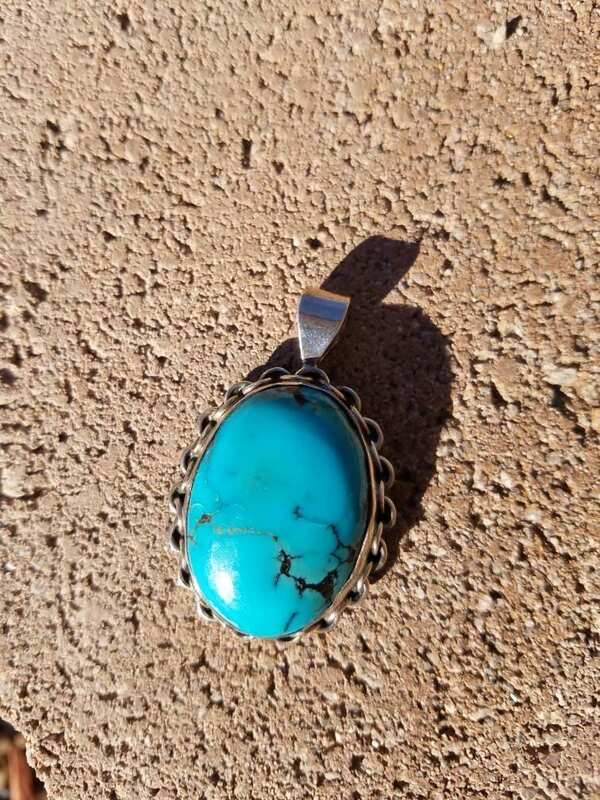 Large Turquoise and Sterling Silver Pendant . Chain like details all around stone. 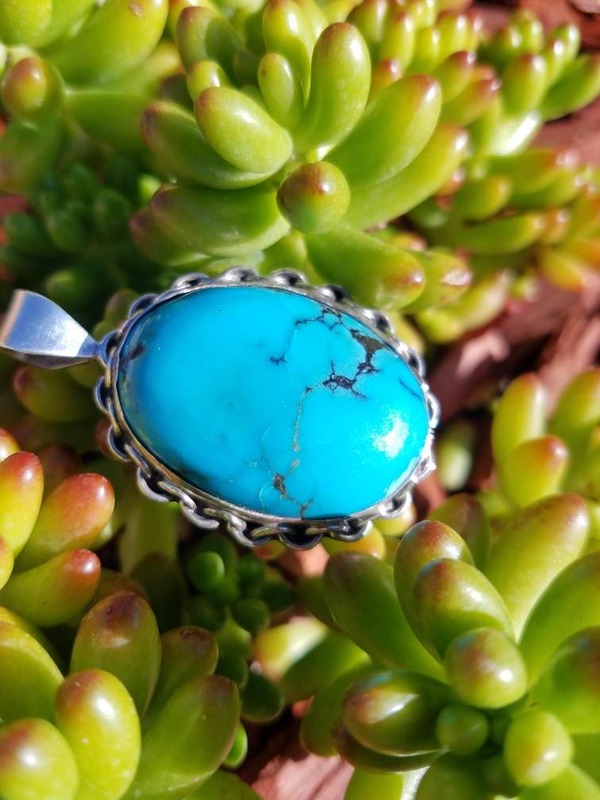 This pendant is about 2 inches long ! Pretty stone ! 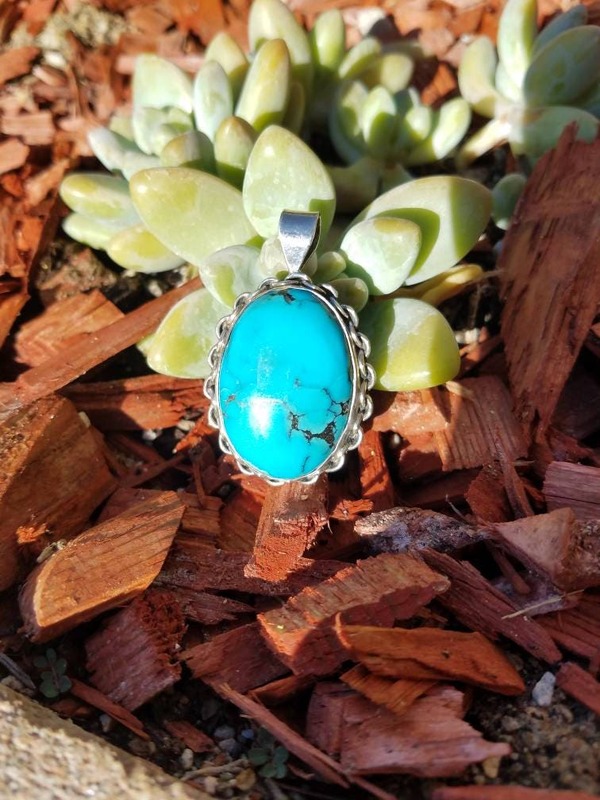 Turquoise with veining throughout stone. Sorry no chain included with this one.